Trust can be difficult to earn. Especially when you’re involved in Irish financial services in 2012. People are more suspicious than ever when it comes to their money. Add to that the greater need for strong regulator controls and you’ve got a financial environment filled with mistrust. As a broker, trust is a huge part of your business, so you need to be able to trust everything from your clients to your file management systems. When you’re dealing with clients, you rely heavily on having the best information to hand. You need to be able to discuss options with a client and offer real solutions. The best way to do that is to have an efficient file management system that allows easy access to all the relevant documents. If you use an online or cloud-based file management system, it’s vital that this system is secure. You need to be certain that the data you access is up to date and hasn’t been accessed or altered by a third party. If you can’t trust your records, it’s impossible to do your job. Clients invest a similar amount of trust in a broker’s file management system. The data you receive from a client is all sensitive in nature. You may be dealing with anything from financial information to medical reports. You carry your clients’ most sensitive records. You need to be able to guarantee their security. Whether these documents go into a steel box or into intangible cloud file management system, your client needs to trust that their data is safe. Without that security, how could they entrust their data to you? The regulator has become one of the most important people in the country. In order toprotect the financial future of the nation, the regulator need to go over every detail with a fine-tooth comb. When you present documents to the regulator, they need to be assured of their integrity. 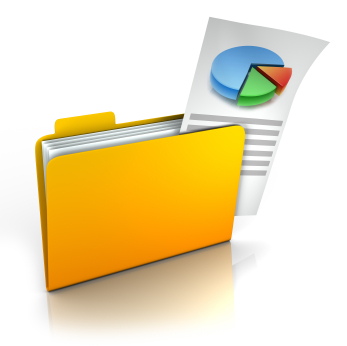 Your file management system needs to be capable of compliance with all data regulations. That compliance needs to be robust and unquestionable. No matter how you manage your files. Whether you still rely on file cabinets and storage lockers, or you’ve moved to online file management, security is a vital consideration. Trust is a vital commodity for a broker and your file management system is vital in building that trust. Download Now our Free White Paper on ROI of Digital Document File Management!